Tuberculosis (TB) is the world’s deadliest infectious disease and kills more people than HIV/AIDS. It is airborne, drug-resistant and found in nearly every country in the world. In the year 2016 alone, the World Health Organization estimated 10.4 million people diagnosed with TB and 1.7 million TB deaths (equivalent to the population of Adelaide). In other words, TB takes 3 human lives every minute and that should be of great concern to all of us. TB is not just a medical problem. It predominantly affects people in their most productive years, robbing children of their parents and families of their major earners. It is both a driver, and a consequence, of poverty. If we are to achieve the ambitious vision articulated in the Sustainable Development Goals (SDGs) of a world free from poverty by 2030, we must first end TB. Tuberculosis is an ancient disease that has killed famous people like George Orwell, Keats and the Bronte sisters and has been infecting humans since the beginning of mankind - it’s time to stop it. Is Tuberculosis (TB) a problem in Australia? Australia has one of the lowest TB incidence rates in the world thanks to its robust health system and disease surveillance system that has been able to keep the incidence rate low in the last three decades. Nevertheless, 1,339 new TB cases were reported in the year 2014 (Source: Department of Health). While it may appear that there is nothing to worry about, the nature of transmission of Tuberculosis makes it difficult to control. TB bacteria can transmit through the air from one person with TB disease (in lungs) to another. It is also a fact that our neighbouring countries like PNG and Indonesia have high TB incidence. 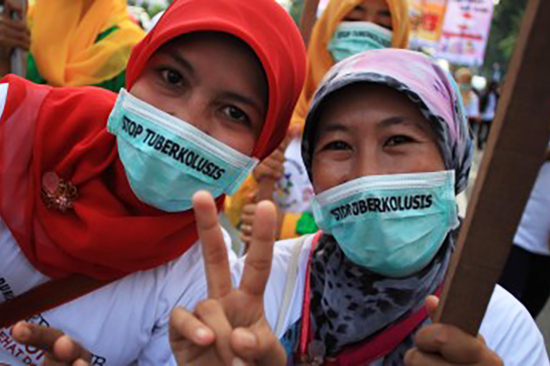 TB therefore remains a public health concern in Australia until TB is controlled worldwide. Is there a treatment for Tuberculosis? Yes TB can be cured. However, TB treatment takes 6 to 8 months, and sometimes even longer (18 months to 2 years) if the bacteria is resistant to the TB drugs. This form of TB is called drug resistant tuberculosis (DR-TB) and is difficult to treat. Only 50% of MDR TB patients, a subset of DR-TB patients, survive despite of popping more than 14 antibiotic tablets every day (WHO). If there is a treatment for Tuberculosis then why people are still dying? The current diagnostic tools are outdated and it takes too long to diagnose TB. The current treatment both for TB and MDR TB is way too long, too complicated to administer, expensive and even toxic with full of side effects. Many people around the world don’t have access to the effective and affordable diagnostic and treatment services. Stigma and discrimination due to TB often stops people from accessing the services. With the current tools and at the rate TB cases are declining in the world, we will miss the target to END TB - 2030, by at least 150 years. What is RESULTS doing about Tuberculosis problem? RESULTS works with the change-makers to inform and guide the voices of everyday Australians and join with them to inform political decisions to bring an end to poverty. In May 2014, the Australian Government co-sponsored and endorsed the World Health Assembly Resolution to support the End TB Strategy. The End TB Strategy aims to reduce TB deaths by 95% and to cut new TB cases by 90% between 2015 and 2035, and to ensure that no family is burdened with catastrophic expenses due to TB. (Source: Australian Government, Department of Health). We advocate with the government to honour its commitment to the END TB Strategy, by investing more in the TB research and development not only in the Asia Pacific Region but also globally. In order to address the current challenges and the funding gap in our fight against TB, RESULTS works with international and national partners to promote for newer, faster and affordable diagnostic and treatment. We advocate for increased funding required in developing necessary tools that will help the world END TB by 2030. So we support the Global Fund to Fight AIDS, Tuberculosis and Malaria, a partnership that works in more than 140 countries, accelerating the end of AIDS, TB and malaria as epidemics.